Where is Cottage Grove located? What's the population of Cottage Grove? What does a person do for work in Cottage Grove? We have kids, how are Cottage Grove Schools? What about recreation in and around Cottage Grove? I've heard of the covered bridges, what's up with those? I'm told it rains a lot in Oregon, what's the weather like in Cottage Grove? Is it difficult to arrange for an owner to carry part or all of the mortgage? What interest rate can I expect to pay on a mortgage? How do I prequalify for a loan? What's the advantage of a pre-approved loan? 6 Keys To Make You And Your Offer Look GREAT! 1. 1. Proof of ability to pay... have evidence of loan approval or cash. A pre-approval letter from a lender is best. 2. Earnest Money...put down enough earnest money to make your offer look attractive to the seller. 3. Offer a realistic price for the property that you think the seller might accept. 4. Be careful not to include too many terms, conditions & contingencies that might make your offer less desirable to the seller. Only include those terms, conditions & contingencies you really need or want. 5. Make a summary list of the STRONG features of both yourself and your offer. 6. Humanize yourself to the seller. Include a written personal introduction to the seller. Give the seller facts about yourself that you think would be interesting to a seller. 1. Don�t wait for the perfect house . . . there isn't one. Compromise & prioritizing are necessary elements in home purchasing. 2. Don�t buy before you do some comparison shopping...especially if you�re new to the area. 3. Don�t write an unrealistic offer or you will simply be helping someone else�s offer look good (too low of a price...too many contingencies). 4. Don�t feel a need to negotiate if a property is fresh to the market, priced right and popular... the good ones often go quickly and at full or close to full price. 5. Don�t think all real estate agents and companies are created equal...they are NOT. Find an agent/company with a great track record and proven home buying system. 6. Don�t be afraid to write an offer above or below the asking price... offer what it is worth to YOU. 7. Don�t work with more than one agent. Find one you like and stick with them. If you make a bad choice, change but stick with the new ONE. 8. Don�t wait for perfect conditions to buy. The best time to buy is when you have found the right home. 9. Don�t get too many friends and family involved in your buying decision... you�ll go NUTS! 10. Don�t wait until you find a home to shop for the best loan. Start up-front. 11. Don�t wait until after you find a house to be qualified for a loan. Do it up-front. 12. Don�t work with an agent who can�t show you Checklists & Systems . Only pick a friend or relative that is licensed as an agent if they are GOOD! Look for value-added services. 13. Don�t be surprised if you get buyer�s remorse at some time before closing...most buyers do. It is normal and it will pass. 1. Is the buyer qualified...ready, willing and able? 2. How long has your property been on the market? 3. Given the market conditions, how attractive is the offer? 4. Does their offer �as is� allow you to meet your original set of goals and timetable? 5. Where, if anywhere, are you able to compromise? 6. If you counter their offer, you�ve bought the property back on those same terms and conditions. Are you willing to risk the buyer �walking�? 7. Make a list of the strengths and weaknesses of the offer. 8. Considering the terms and conditions of the offer, is this offer in your best interest both emotionally and financially? 1. Don�t overprice your home. It will cost YOU money! 2. Don�t be surprised if the first offer on your property is the best offer you receive. 3. Don�t let your property sit on the market too long before making a significant change in price (or it will get stale). 4. Don�t think all real estate agents and companies are created equal...they are NOT. Find an agent/company with a great track record and proven home marketing system. 5. 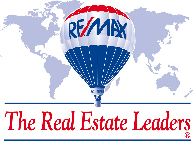 Don�t list with a real estate agent just because they charge the least or the most. Look for the best VALUE. Consider the company�s track record with sellers & buyers. 6. Don�t look just at the price the buyer offers. Analyze the total package including buyer qualifications, contingencies, closing dates, etc. 7. Don�t forget buyers will shop around looking for the best buy. You are in competition with other sellers for your buyer�s attention. 8. Don�t forget that if real estate agents don�t see your property as a good value, they will take their buyers elsewhere. 9. Don�t believe those who tell you newspaper ads sell homes. You need a COMPREHENSIVE marketing plan tailored to your property and your needs. 10. Don�t make it difficult for agents and buyers to see your home. Buyers want to look at their convenience. 11. Don�t overlook the value of MERCHANDISING your home... make it look its VERY BEST! 12. Don�t forget that you control the pricing of your home, how it looks and the overall marketing plan. But it is the BUYERS who control value. If buyers won�t pay your price, the house remains yours. We are 55 miles inland from the Pacific Ocean, 20 miles south of Eugene, Oregon's second largest city. Situated between the Coast Fork of the Willamette River and Row River at an elevation of 650 feet. Our approximate population is 7,600, and including the outlying areas such as Dorena, Culp Creek and Lorane we have roughly 26,000. Fortunately, Cottage Grove is only a 20 minute drive from Eugene so when you live here you have the best of both worlds; the job market of the second largest urban area in Oregon, and the ambiance of a rural lifestyle. The economy of this region is driven by agriculture, higher education, high technology, forest products, recreation, RV manufacturing and tourism. Locally, we have over 600 businesses including WalMart and the second largest Safeway in Oregon. Lane County was the first county in Oregon to build covered bridges on a large scale and still counts the largest number of roofed spans in the State. During the construction days, County engineers used a truss and housing design furnished by the State Highway Department and as a result most of the County's bridges are similar in appearance.Beginning in the 1870s, two local builders, Nels Roney and A.S. Miller & Sons competed for construction contracts during those early decades of bridge building. During and after WWI steel was in short supply but wood was plentiful, so the County kept right on building them. The craftsmanship of both of these builders was testimony to their dedication and skill. All of the Roney bridges were replaced in the early 1900s with bridges built by County crews under the direction of Bridge Superintendent Art N. Striker. Because covered bridges attract a large number of tourists to the area each year, the County is reluctant to remove them. Sixteen bridges owned and maintained by Lane County are listed on the National Register of Historic Places. Fourteen of these bridges are still open to traffic, a testimony to timely rehabilitation and good on-going maintenance. You may acquire a guide to these historic sites at our office. A modified marine climate. Average temperatures range from 30 to 78 degrees. We enjoy a 168 day growing season that accommodates apples, plums, pears, peaches etc. Our annual rainfall is between 35 and 45 inches per year. We have both public and private grade schools, junior high, and high school, and a branch of the Lane Community College. We have two beautiful lakes, each located only minutes from town. They offer fishing, boating, water skiing, you name it! We also have two public golf courses and let's not forget our numerous rivers and creeks. Our area also enjoys having the Bohemia Mining District nearby. There are many marked claims and if you go all the way to the top of Bohemia Mountain, you are presented with a most fabulous view. We are also only 1-1/2 hours away from the coast and it takes about the same amount of time to reach our nearby mountains for snow activities. Boy, that's a question that can only be answered during the negotiation phase of the offer. Often the seller is not in a financial position to carry even a small part of the balance. And yet other times the seller prefers not to receive the full pay-out at the time of the sale. Each situation is typically just a little bit different from the others which is why we, together, write the best offer we can, up-front, which incorporates the terms best suited for you as well as the seller. Ah, now that's one of those questions to which the answer can change daily. When you are ready to buy, your lender will advise you of the current interest rate available to you. Remember, in the first few years, most of your payment wll be paying off the interest on the loan and this amount is deductible off your income taxes. If you ask the owner to carry, that interest rate will be negotiated by me on your behalf with the seller. This is done either by telephone or in person. It's purpose provides the loan officer insight to your income, monthly debt, credit history and other information unique to you situation. This process typically takes about 10 minutes and is a free service. The advantage of a pre-approved loan is that you will have more negotiating power when making an offer on a house. Plan on spending about an hour and a half with your loan officer at the home loan pre-approval meeting. I can advise you on the items you should bring to the meeting such as paystubs, prior years' tax returns, valid drivers' license, etc. Didn't find your answer here? Contact me! Return to Top of Page "Above the Crowd"
Updated April 22, 2006 Copyright © 2000 - 2006 Custom Designs by Vivia All rights reserved. Disclaimer: This site designed under authority of Sherry Duerst-Higgins. All information contained herein is not warranted and is subject to revision.